Great menu. Pleasant hotel grounds. Spacious rooms. Wonderful sightseeing. Ideally located in the prime touristic area of Birkenwald, Hotel Restaurant des Vosges promises a relaxing and wonderful visit. The hotel offers guests a range of services and amenities designed to provide comfort and convenience. Service-minded staff will welcome and guide you at the Hotel Restaurant des Vosges. Designed for comfort, selected guestrooms offer heating, desk, telephone, television LCD/plasma screen, satellite/cable TV to ensure a restful night. Access to the hotel's sauna, garden, steamroom will further enhance your satisfying stay. 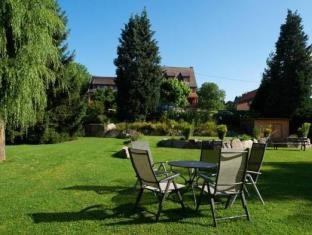 Hotel Restaurant des Vosges is an excellent choice from which to explore Birkenwald or to simply relax and rejuvenate. Excellent hotel. Good for sightseeing. Great room. Awesome vibe. Friendly staff. Fantastic service received.